Adolph Hitler put Field Marshall Rommel in charge of the French Atlantic wall and the defense of Europe from an Allies cross-channel invasion in 1944. Rommel arrived, looked over the situation, and immediately ordered a tremendous upgrading of the fortifications on all of the English Channel beaches. As late as it was, Rommel’s program of emplacing beach obstacles between high and low tide so alarmed Allied planners that they changed the timing of the landings from high to low tide, which considerably increased the vulnerability of those making the initial landing — especially on Omaha Beach. In dealing with the airborne threat, Rommel ordered telephone poles and concrete posts — nicknamed ‘Rommel asparagus’ — emplaced throughout the fields and meadows of the areas immediately behind the most obvious landing areas. Not surprisingly, all this activity caught the attention of senior Allied commanders, further complicating the already difficult task of planning for and then making a successful amphibious landing on the coast of France. Rommel’s defensive measures were frustrated by a dispute over armored doctrine. Von Geyr (commander of Panzer Group West) and Rommel disagreed over the deployment and use of the vital Panzer divisions. Rommel recognized that the Allies would possess air superiority and would be able to harass his movements from the air. He therefore proposed that the armored formations be deployed close to the invasion beaches. In his words, it was better to have one Panzer division facing the invaders on the first day, than three Panzer divisions three days later when the Allies would already have established a firm beachhead. Von Geyr argued for the standard doctrine that the Panzer formations should be concentrated in a central position around Paris and Rouen, and deployed en mass against the main Allied beachhead when this had been identified. The argument was eventually brought before Hitler for arbitration. He characteristically imposed an unworkable compromise solution. 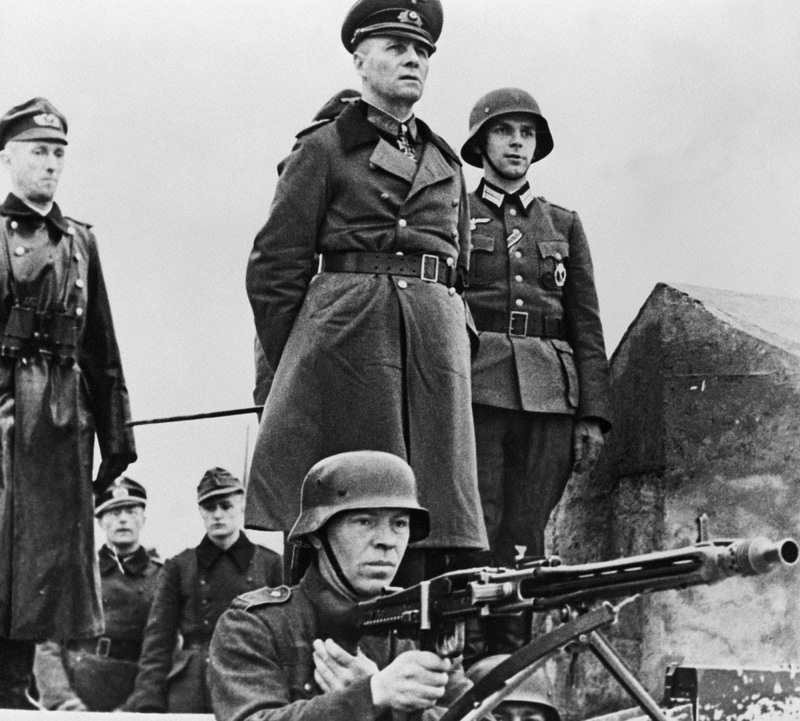 Only three Panzer divisions were given to Rommel, too few to cover all the threatened sectors. The remainder, nominally under Von Geyr’s control, were actually designated as being in “OKW Reserve”. Only three of these were deployed close enough to intervene immediately against any invasion of Northern France; the other four were dispersed in southern France and the Netherlands. Hitler reserved to himself the authority to move the divisions in OKW Reserve, or commit them to action. On 6 June many Panzer division commanders were unable to move because Hitler had not given the necessary authorization, and his staff refused to wake him upon news of the invasion.